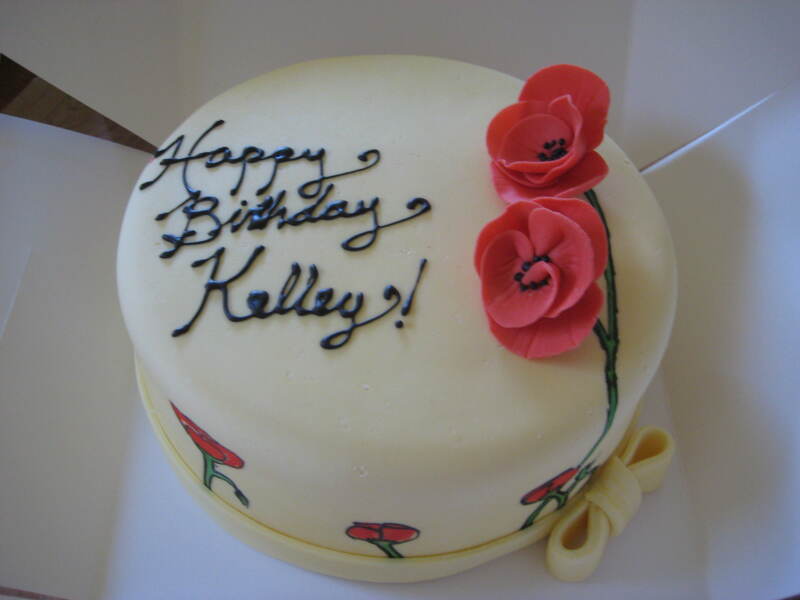 Last week was my cousin Kelley’s birthday, so needless to say I made her a cake! This one is a marble cake with chocolate cremeu filling, italian buttercream, and marshmallow fondant. 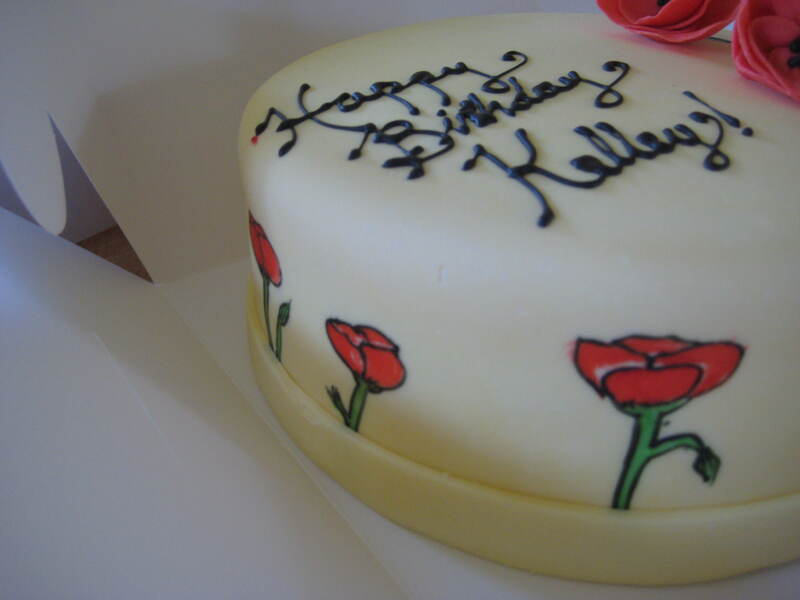 I enrobed it in a pale yellow fondant and mixed together vodka and gel colors to paint the sides. 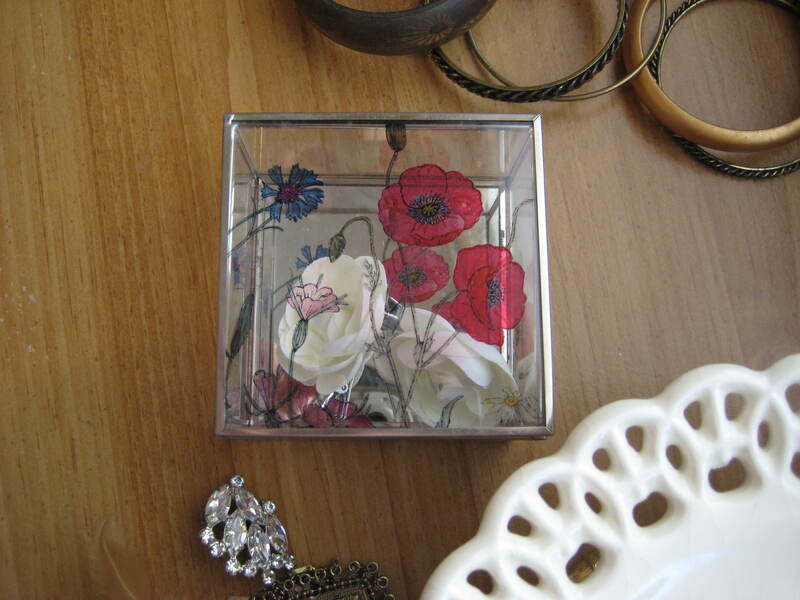 The goal was to make the cake slightly reminiscent of this stained glass jewelry box I got at a thrift store. Goal slightly accomplished, although it’s been a while since I’ve painted anything. Practice makes perfect, alright? 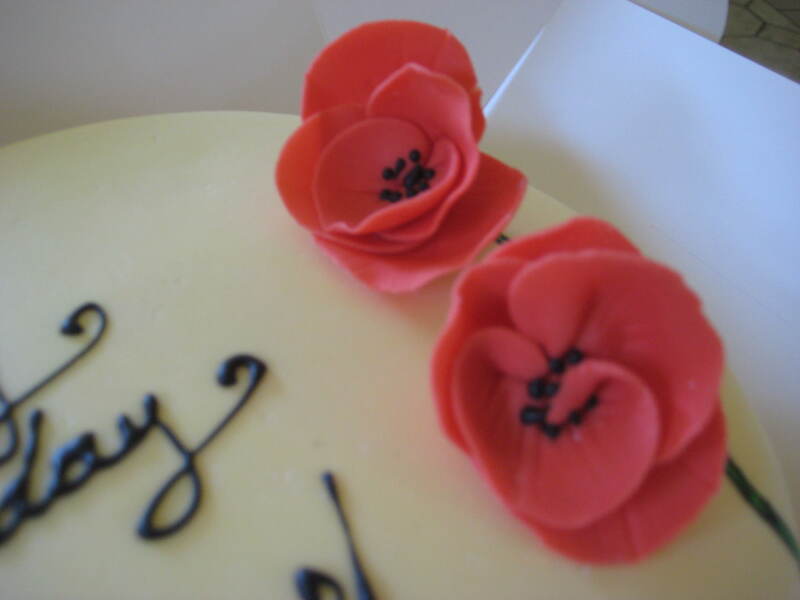 Poppies made from fondant and royal icing.